I've been wanting Pioneer Women's French Breakfast Puffs for for-ev-er but was too lazy to make them myself. Then for some reason the food blogging world was like trying to hit me on the head saying 'make these, now!' They were everywhere but still I was too lazy to make 'em, so I pawned it off on the youngest sous chef Nanny Goat. Yea Goat! She loves her momma. I decided to interview Nancy about making this dish. Since Katie does some blogging here, it seems only fair to interview Goat. ECM: So Goat, was this recipe easy? Like so easy a cavechild could do it? You know like those caveman commercials? N.G. : No! It was confusing. I messed up four times. Maybe it's because I am a young chef. ECM: Meaning you're young and inexperienced? ECM: What did you mess up on? NG: I messed up on the eggs. I was suppose to put it in before the flour. NG: The butter I did smash down but it was suppose to be creamy I think. I'm clueless. Then I didn't roll them in butter afterwards, I only did it on the top and the next thing was I ate one when it wasn't completely finished. The rest went well. I'd rather make nachos instead. 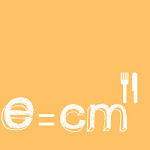 ECM: Isn't that the perk of being the cook, you can eat your mistakes? ECM: So what's up with the nachos? NG (laughing): That's a hard question! ECM: Back to the puffs...did you like them? NG: Yes. Sweet, really sweet, crazy sweet. ECM: Would you make them again? NG: They taste good and they're are like doughnut holes and since we don't get doughnuts often, so doughnut holes are fine to me. ECM: What do you think about me letting you do the recipe all by yourself including the oven? You know most moms won't let a ten year old near an oven. ECM: Safety issues... getting burned, that type of thing. NG: It doesn't bother me. I bake cookies like twice a month. ECM: So I'm not a bad mom for letting you near the oven unsupervised? NG: NO, I'm a ten year old. ECM: But still a lot of people have problems with this kind of thing. What about using a knife? A lot of your friends and parents who have kids who read this blog wouldn't let their kids use a knife, either. NG: I have good soccer skills. ECM: What this have to do with knife skills? NG: 'cause if you dropped it. I'd move my feet fast. Like a ninja. NG: I also have good reflexes. ECM: True. What's the first rule I taught you about using a knife? ECM (laughing): I'm glad that my parental skills are sinking in. NG: laughing even more... I remember the first thing...never talk to strangers. ECM: Perfect. What about yelling fire? NG: I know that too. ECM: So I am I really evil? NG: Ummmmmmmmm.... (laughing)...I don't know.... (picking at her hair)... not exactly. ECM: Okay, you're free to go. Preheat oven to 350 degrees. Lightly grease 12 muffin cups. Stir together flour, baking powder, salt, and nutmeg. In a different bowl, cream together 1 cup sugar and shortening, then add eggs and mix. Add flour mixture and milk alternately to creamed mixture, beating well after each addition. Fill prepared muffin cups 2/3 full. Bake at 350 for 20-25 minutes or until golden. In a bowl, melt 2 sticks butter. In a separate bowl combine remaining sugar and cinnamon. Dip baked muffins in butter, coating thoroughly, then coat with cinnamon-sugar mixture. Another recipe of the same thing out there on the internet. So easy a cavechild could do it! Hooray for Ninja Nanny Goat! I love that she has great reflexes! We've a grand-niece who was baking semi-supervised at 8 and handling a small chef's knife. She is her mother's kitchen assistant and I don't think it is because she is the girl. She has had an interest in cooking, starting with outdoor cooking, since three. That soccer skills/reflexes thing was my favorite part. I love your "always forward, never retreat" slogan. Though it does remind me of '300' (but that's OK with me since I loved that movie). Nanny Goat! You're the bomb! These are crazy good, aren't they? We call them donut muffins -mainly because I look like a donut after eating them. I loved the interview - too bad you can't rent out your sous chef - I'd hire her in a heartbeat! 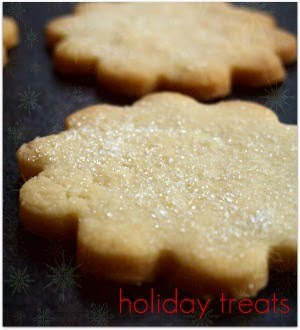 I am losing weight - major big time and then you send out a story, picture and recipe about lovely sweetie attacks. Maybe I need to keep the two sizes of clothes in my suitcases, just in case. She has a good sense of humor and that is very IMPORTANT...she's funny. Good point about part-time veganism. That is definitely something I'd like to research some more. OMG her answers were a riot. How awesome is she! !